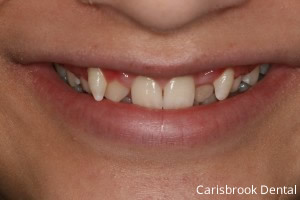 Banish all of those preconceptions you might have about fixed braces, because here at Carisbrook Dental we can provide the very highest level of fixed brace treatment. 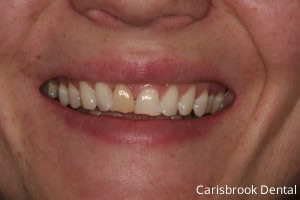 We have our own resident orthodontist here at Carisbrook, and he has a client base all over the Manchester area. Our orthodontist studied braces to a specialist level for an extra four years at university, this has enabled him to offer all treatments available at a highly skilled level. The traditional ‘train track’ braces are far more modern than they used to be; a clear fixed brace is almost invisible when it is fitted. A fixed brace comes with a lot of advantages, and in terms of functionality, a fixed brace is far more effective than ‘invisible’ systems such as Invisalign. There is a greater degree of control on a fixed brace and as a result a higher and more effective rate of progress. The braces can now be coloured white and are very discreet, they are made from a white ceramic material. Quicker and more efficient effect. Fixed braces are highly adjustable and as a result, it is easier to fine-tune the brace to the requirements of the teeth. Fixed braces can give more controlled and precise movements than removable braces. As the brace is more precise the results are more stable and therefore the teeth are more likely to stay in their new position. Fixed braces cannot be removed so the process cannot be stunted by loss or apathy towards wearing the brace – particularly important for children! 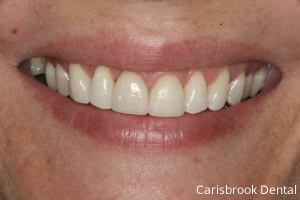 At Carisbrook Dental, we have a range of brace treatments and we feel confident that you will be able to find the right treatment for you. 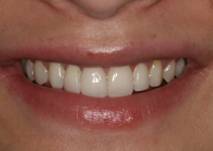 In addition to fixed braces, we also do Damon invisible braces, invisible braces, and the Invisalign system.